Stunning (internally) illuminated drinks cabinet from Cantu Fontana (the design centre outside Milan). Italy c 1950. 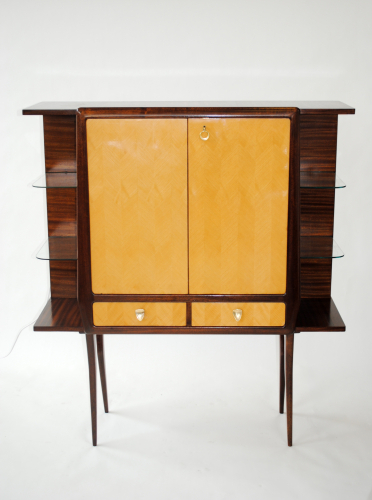 Walnut and sycamore, with external and internal shelving and original brass highlights and key. Graceful and in beautiful condition.